Professor Sir John Pendry of Imperial College London will address 'The Science of Invisibility' in the 41st Edwards Lecture on 29th October. The 41st annual Edwards Lecture will be delivered by Professor Sir John Pendry FRS on the 29th of October in the Oliver Thompson Lecture Theatre. Professor Sir John Pendry is a condensed matter theorist who has worked at Imperial College London's Blackett Laboratory since 1981. In his lecture, he will speak about recently discovered metamaterials which have created extraordinary possibilities through their negative refractive index and lenses whose resolution is limited only by the precision with which they can be manufactured. These materials make it possible for cloaks to be designed and built which can conceal objects within them but remain completely invisible to external observers. "We are delighted that Professor Sir John Pendry is presenting the 41st Edwards Lecture. 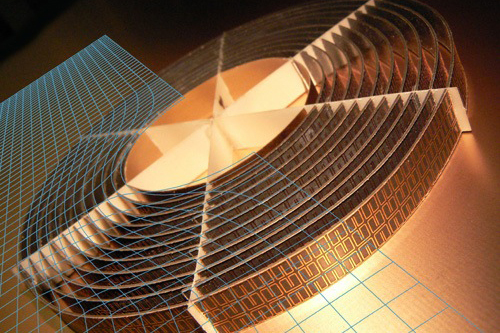 He is a globally recognized researcher in the field of metamaterials and their applications. The radical new properties to which they give access promise to transform our ability to control their interaction with the electromagnetic spectrum and so to allow us to deploy such materials with their unique optical properties. Professor Pendry's keen insight into these developments is greatly anticipated." 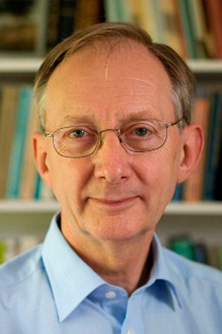 Professor Sir John Pendry began his career in the Cavendish Laboratory, Cambridge, followed by six years at the Daresbury Laboratory where he headed the theoretical physics group. He has worked extensively on electronic and structural properties of surfaces developing the theory of low energy diffraction and of electronic surface states. Another interest is transport in disordered systems where he produced a complete theory of the statistics of transport in one dimensional systems. In 1992 he turned his attention to photonic materials and developed some of the first computer codes capable of handling these novel materials. This interest led to his present research, the subject of his lecture, which concerns the remarkable electromagnetic properties of materials where the normal response to electromagnetic fields is reversed leading to negative values for the refractive index. This innocent description hides a wealth of fascinating complications. In collaboration with scientists at The Marconi Company he designed a series of 'metamaterials' whose properties owed more to their micro-structure than to the constituent materials. These made accessible completely novel materials with properties not found in nature. Successively metamaterials with negative electrical permittivity, then with negative magnetic permeability were designed and constructed. These designs were subsequently the basis for the first material with a negative refractive index, a property predicted 40 years ago by a Russian scientist, but unrealised because of the absence of suitable materials. He went on to explore the surface excitations of the new negative materials and showed that these were part of the surface plasmon excitations familiar in metals. This project culminated in the proposal for a 'perfect lens' whose resolution is unlimited by wavelength. The Edwards Lecture commemorates the work of F.D. Edwards, who was a staff member at City's predecessor institution, the Northampton Institute. He was also a past member of the Worshipful Company of Scientific Instrument Makers. To register to attend this free event, please visit this website.